Our three home, small lot subdivision project on Cullen Street sold very quickly at the following prices. The Cullen Street project was initiated by our client during a very uncertain economic time so it's great to see this project's ultimate success. 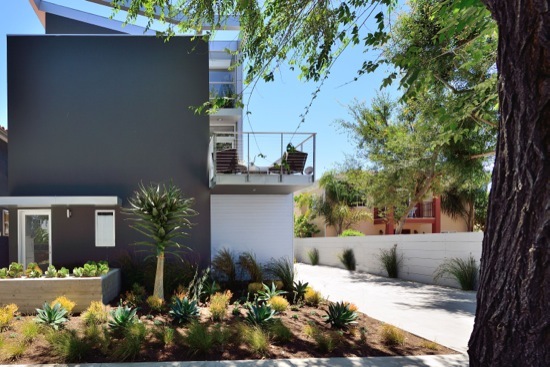 A three-home small lot subdivision in Venice, CA. 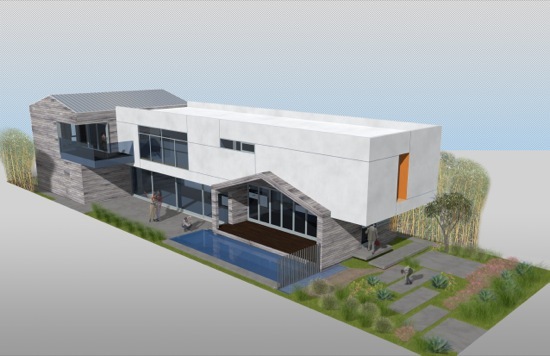 This project is currently wrapping up stucco, siding and interior finishes and should be complete by March 2013. 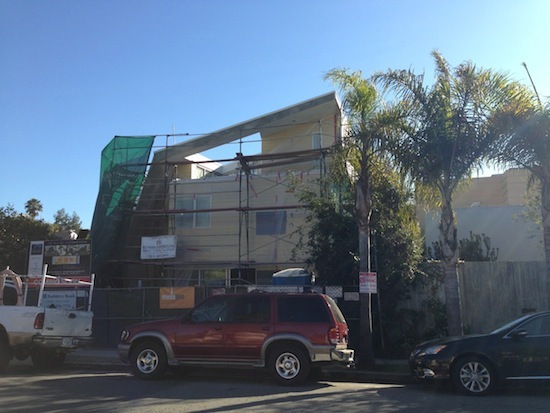 Home A along California Ave. Stucco and siding going in on 12.21.12. Home C from the alley. 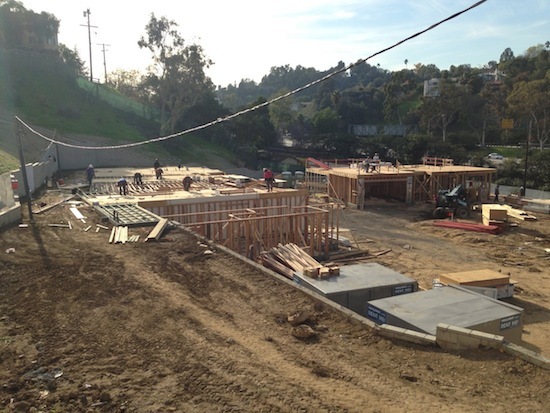 Construction of Phase I (8 homes) is underway on this 15-home small lot subdivision in the Echo Park neighborhood of Los Angeles. 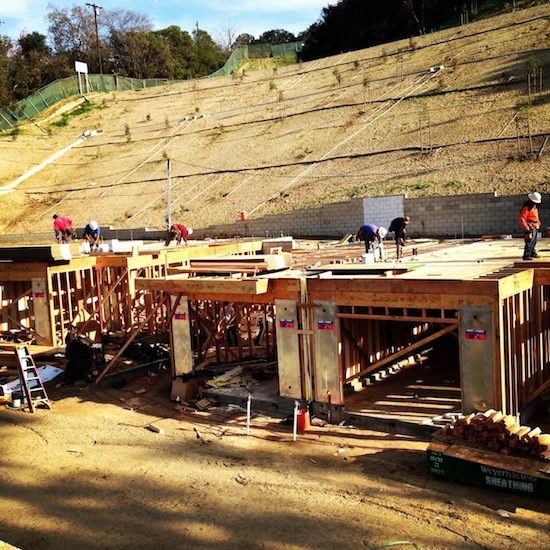 Artis is currently in framing and the first set of homes should be complete in the spring of 2013. 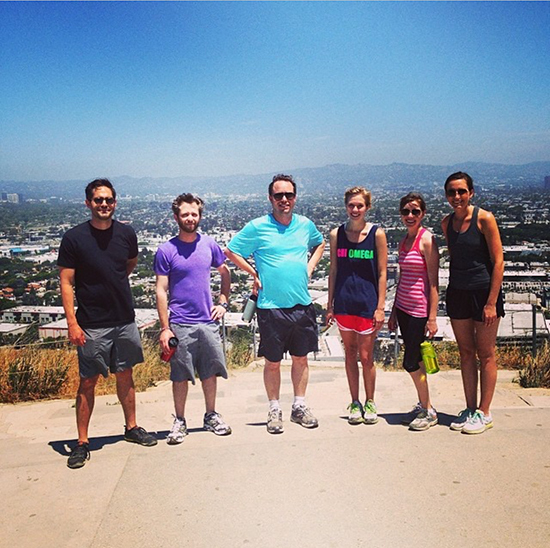 Artis @ Echo Park was posted on Curbed Los Angeles earlier this week. 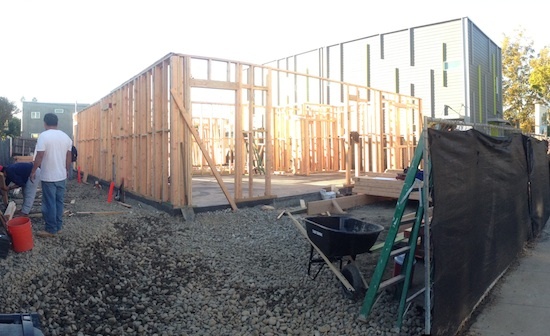 First floor framing on 12.21.12. Phase I includes building the first eight homes. 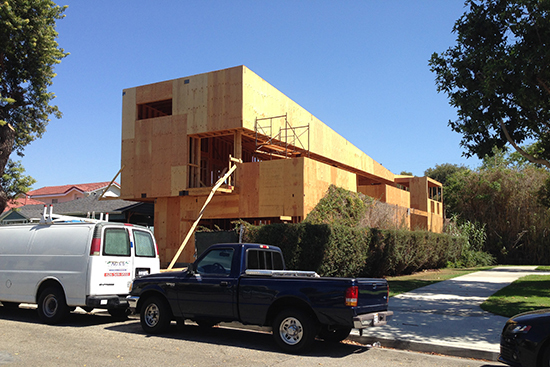 A single family residence in Culver City, CA that overlooks a public park. Three townhouse apartments. 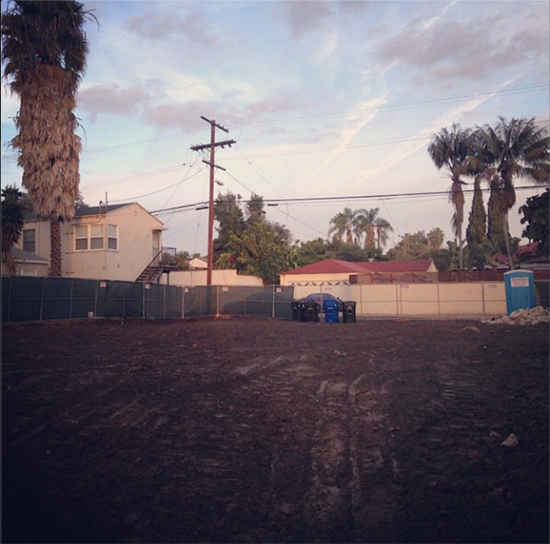 This is Phase II of III of the Fay Ave Art District Dwellings (a future small lot subdivision). 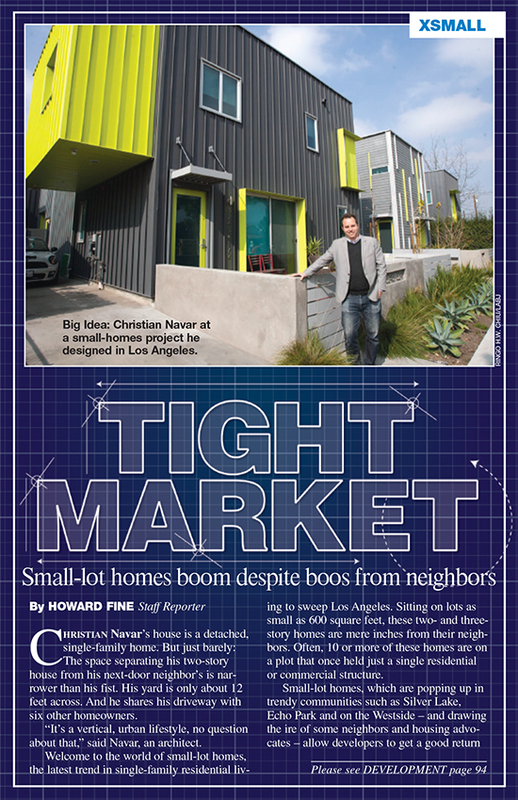 Phase I, the Fay 2X Homes was complete in late 2011, featured in the Los Angeles Times in February 2012, and are still occupied by the original renters. 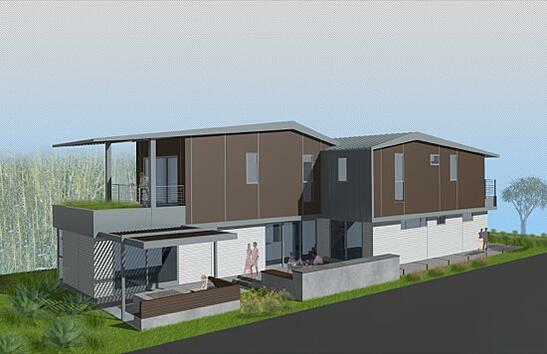 Here's a bit more info on the design of the Fay 3X Homes. This phase is scheduled for completion in the summer of 2013. 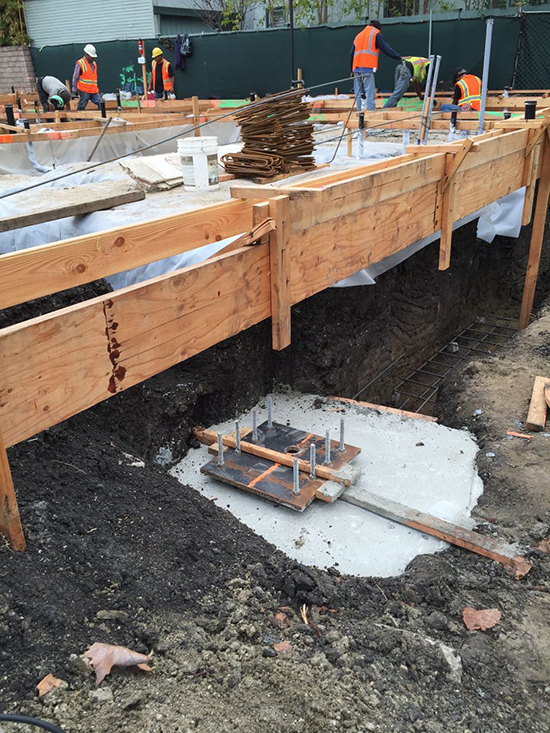 Also of note, Modative Build is the contractor on this project. And we will be building even more of our projects as we push into 2013. 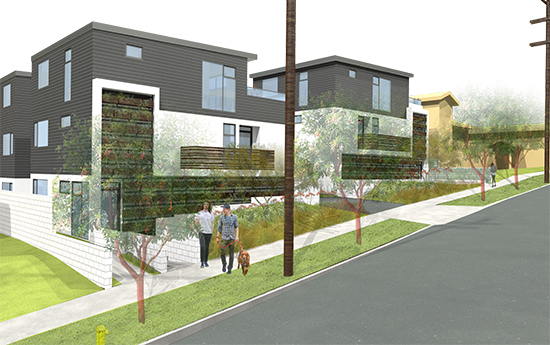 Rendering of 3X homes (left) next to the existing 2X homes (right). 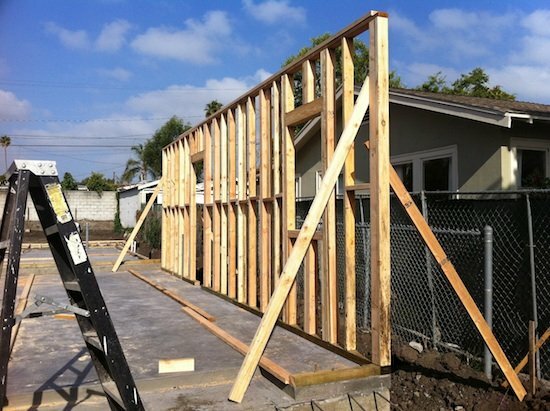 We signed up this project in the first week of 2012; a great sign for the year. 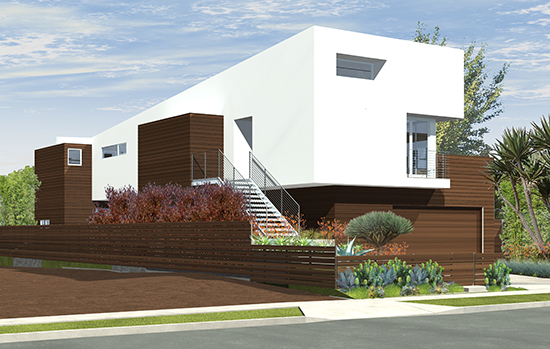 Cardiff Cubes is a three-home small lot subdivison near downtown Culver City. 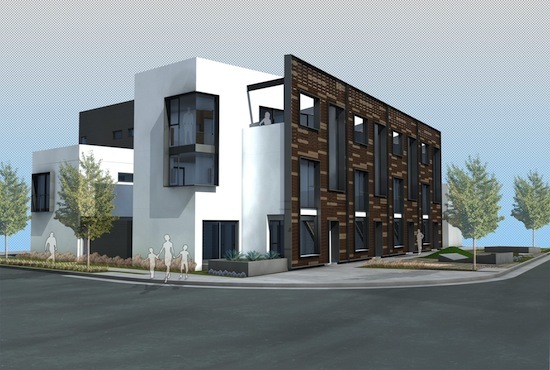 This project is approved by planning and is currently in the permitting phase. Construction start expected in spring of 2013. As mentioned above, this project is under construction. 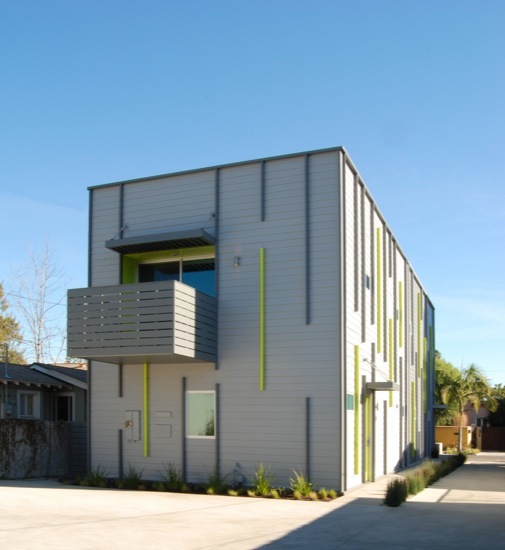 Venice Boulevard Live/Work - Eight live/work apartments in Los Angeles. The likely future Modative and Modative Build world headquarters. 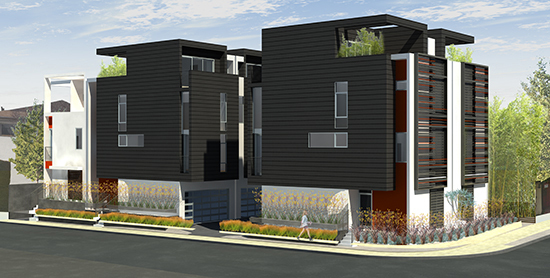 A four-home small lot subdivison in Los Angeles inspired by the nearby aviation and hangars of the Santa Monica Airport. 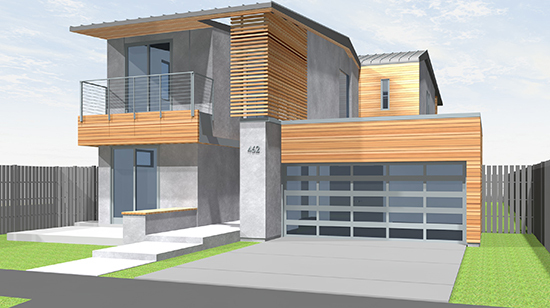 A single family spec home in Venice, CA. Scheduled to start construction in a few months. 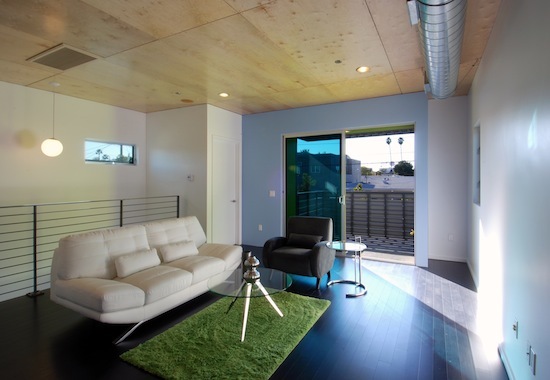 A single family spec home in Venice, CA. Scheduled to start construction in spring or summer of 2013. A single family residence in Mountain View, Ca (that's up North). Scheduled to start construction in 2013. The new projects enabled us to add three new staff to our existing team of four, bringing our total to seven. 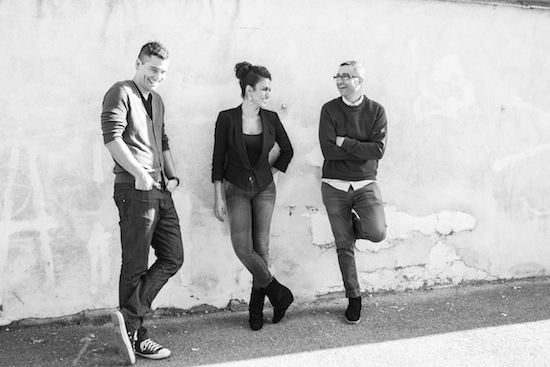 We were very happy to welcome Dena, Jesus & Jesse to our team this year. We didn't even ask them to smile. They did it on their own because they love working here. Happy Holidays. See you in 2013! Fay 2x Homes - Future Small Lot Subdivision Construction Complete! 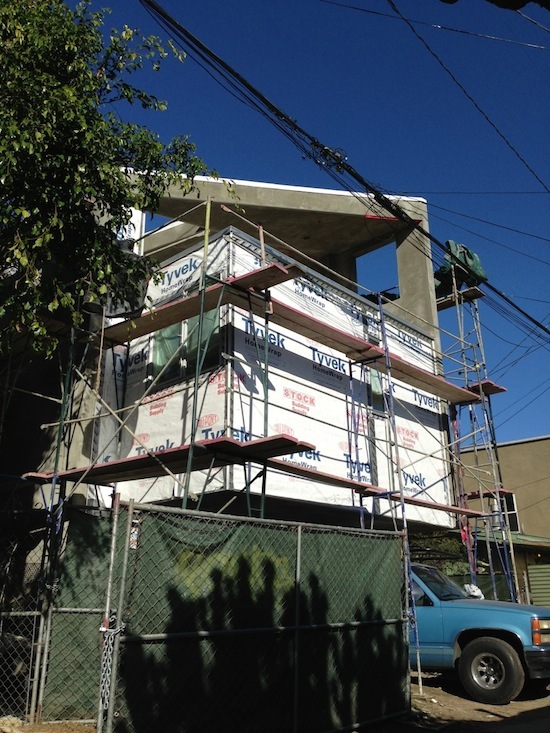 In November 2010, we posted about our cost-effective solution to reviving a project that had completely stalled due to the housing bust (see: Modative Architecture Provides Stimulus Package.) Well, since this last post, our sister company, Modative Build, has completed construction of Phase One of this new Fay Ave. project! 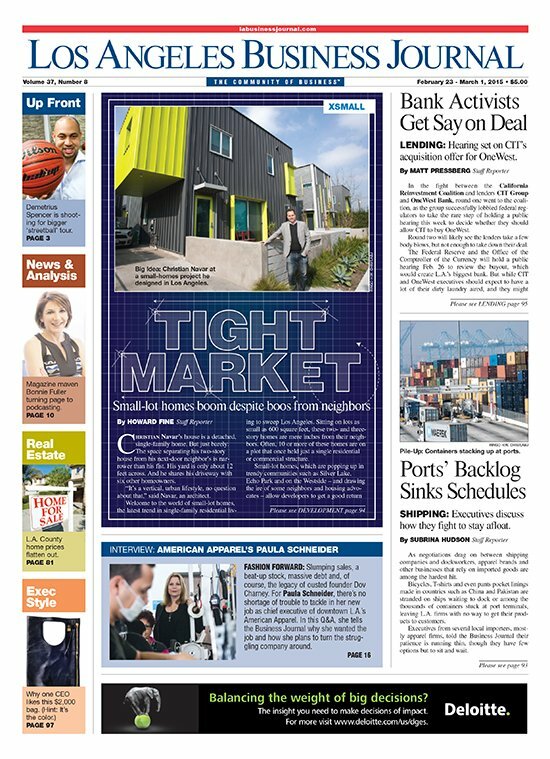 To recap, the “2x” concept came out of finding a simple, creative, cost-effective solution to this goal: to re-imagine a pre-housing-bust development for a much different market. 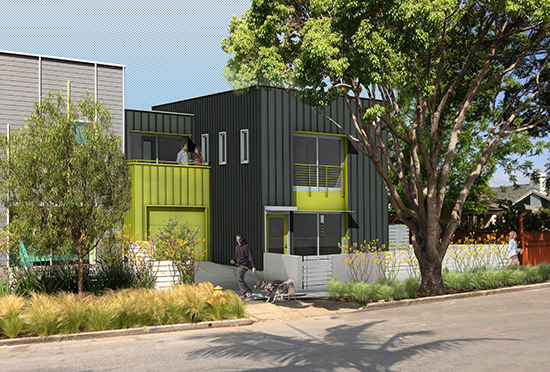 Fay 2x Homes is the reincarnation of the Fay Ave Art District Dwellings, a seven-home Small Lot Subdivision project, which was designed before the real estate market crashed. 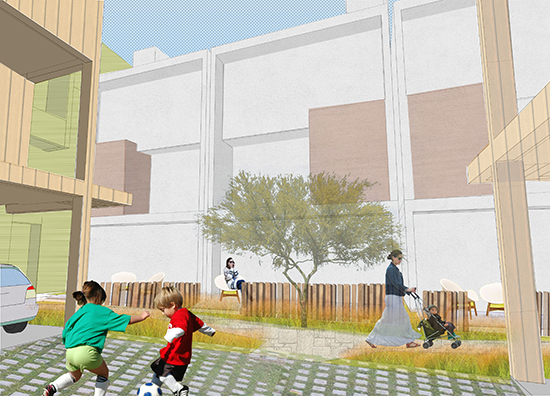 Our challenge, as architects, was to reinvent this project for a changed economy. 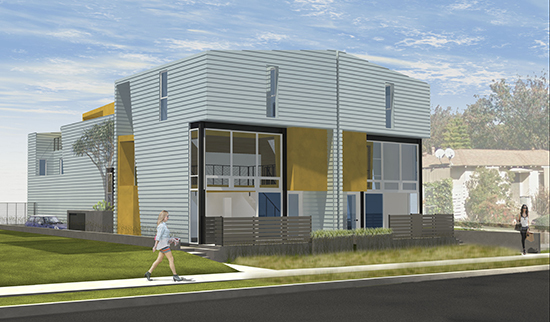 The seven-home project would ultimately utilize three adjacent lots; however, the center lot was sitting vacant, and, as such, was not providing any income for the owner while the development stalled. 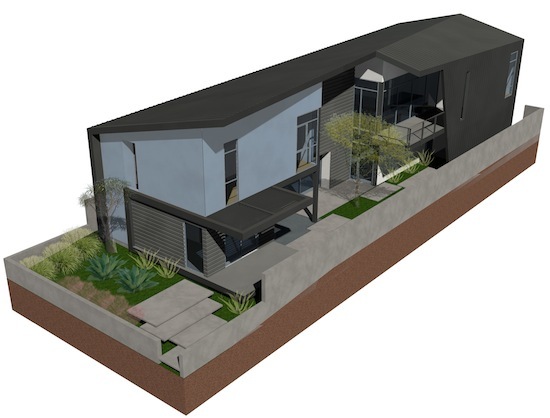 Our client asked us to propose a simple, cost-effective design that would add immediate value to this vacant lot and start generating rental income. We decided to drastically simplify the design of the homes and to phase construction in a way that made the most financial sense for our client. 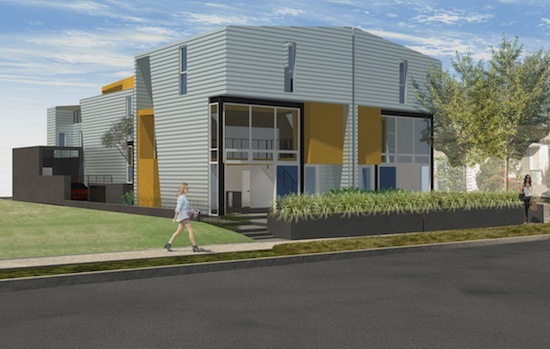 The two homes pictured make up Phase One of a four-phase project. 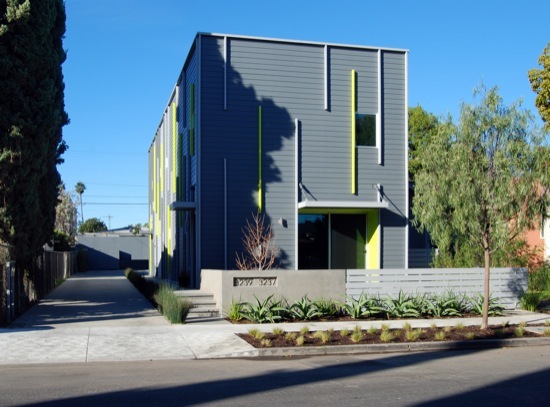 While the modern design of the project was inspired and influenced by its’ location near the Culver City Arts District, the straightforward design is a direct result of providing a cost-conscious solution for our client. We decided to limit certain building components to only two variations as a way to minimize the overall project cost. 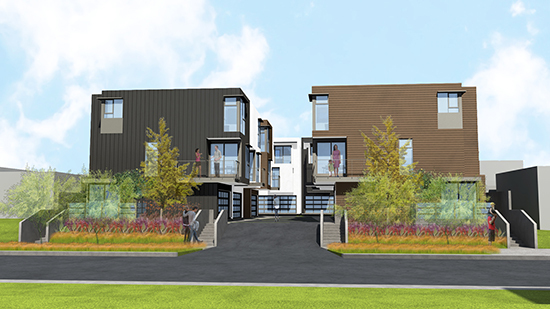 This self-imposed limitation is evident throughout the design of the homes: phase one consists of two homes, each utilizing just two exterior materials, two interior materials, two colors, two window sizes, and two door sizes. 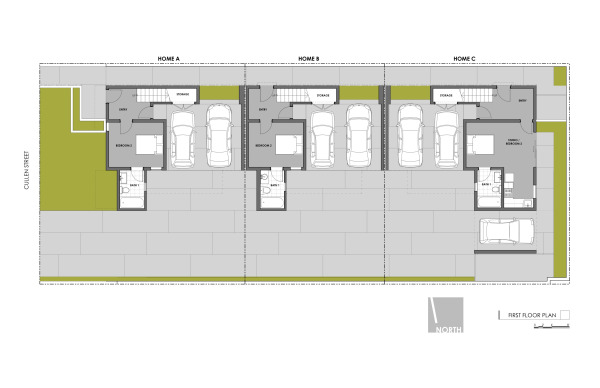 Further emphasizing the “2x” concept, each home contains two bedrooms and two and a half bathrooms on two floors, for a combined total of 2,000 square feet. 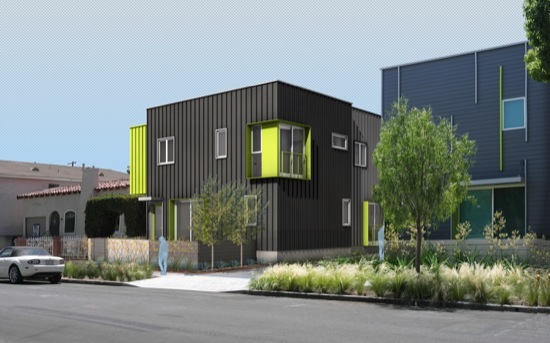 These smaller, more affordable homes are being rented as apartments until all four phases are complete and the properties are ultimately subdivided into seven lots/homes per the Los Angeles Small Lot Subdivision Ordinance. 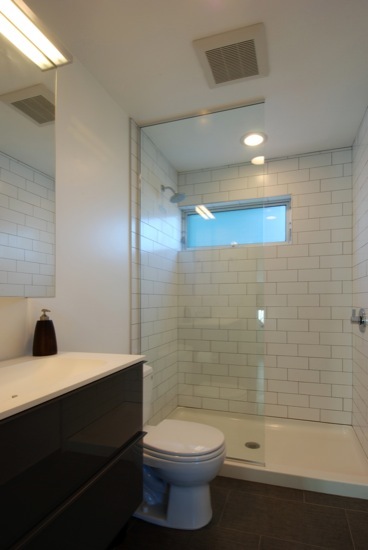 As a burgeoning design/build firm, we were also able to act as the General Contractor on this project. 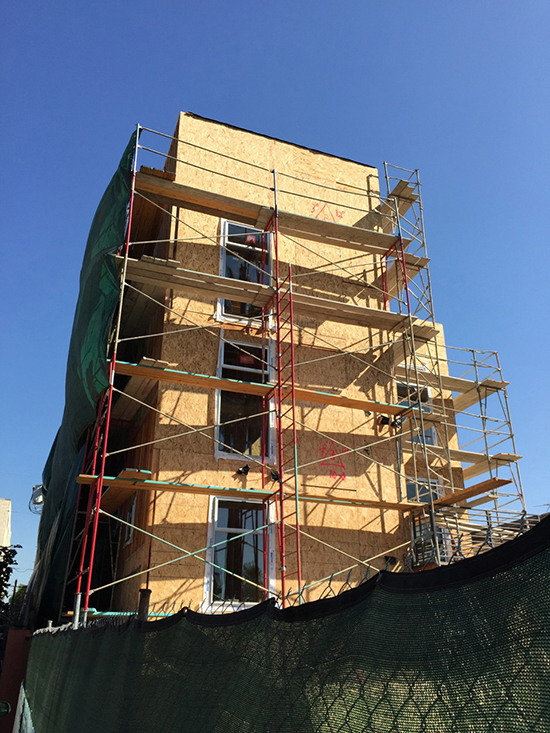 This helped to keep the cost of construction down for our client by drastically minimizing the cost of change orders that are typically a part of a traditional architect/contractor construction project relationship. Phase One of this project was completed December 2011 and is now fully occupied. 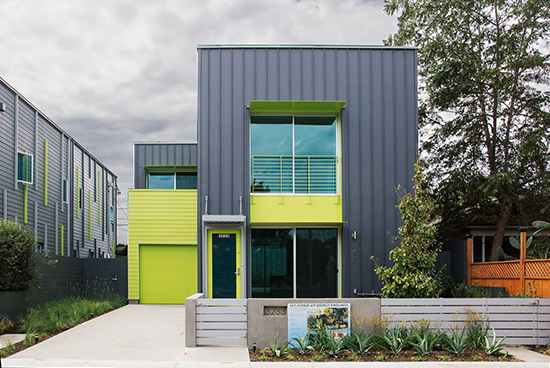 Here are some photos of the first completed phase of the Fay 2x Homes. Enjoy! 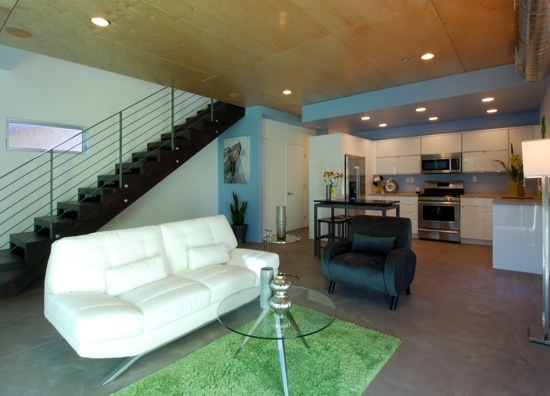 The simplicity of the Fay 2x Homes allowed the property owner to start earning rental income ASAP. 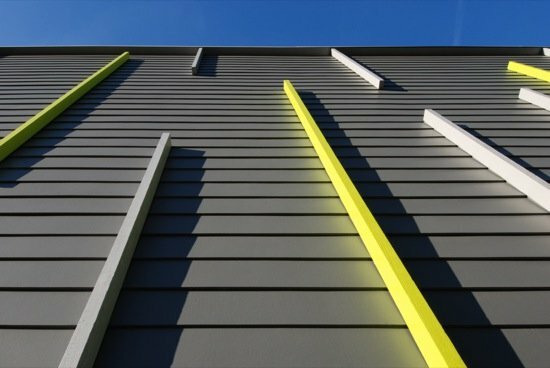 The wood 2x vertical fins, while hiding the connection details of the cement board siding, also create a graphic pattern on each building face. The patterns are dynamic and change with the time of day, especially on the south walls. A view of the back of the property. 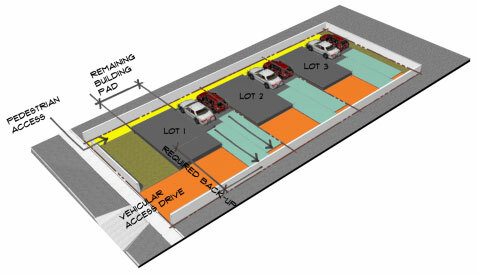 Check out all that vehicle back-up space required by the city! It's a crazy amount of space dedicated to the car, but I could throw a mean bbq shindig back there, so it's not totally wasted space. 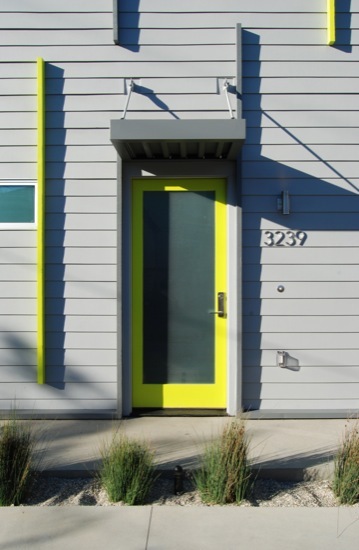 The home entrances are punctuated by bright green doors. 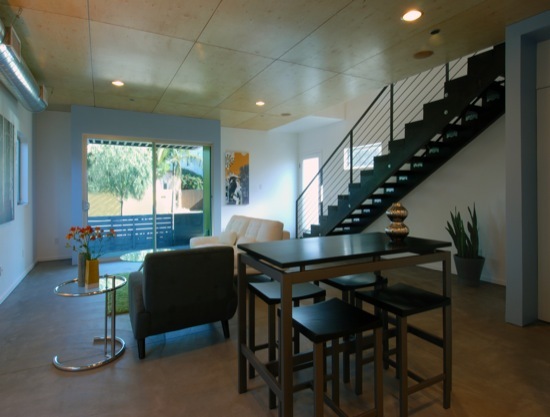 The concrete floor, plywood ceiling, and IKEA kitchen were all cost-conscious moves to keep the homes relevant in today's market. 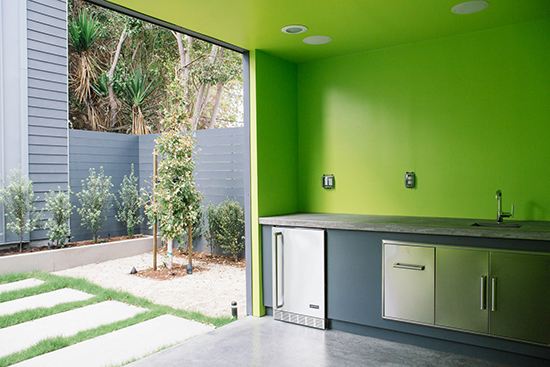 The front home's living area opens out onto a ground-level patio that engages Fay Ave. 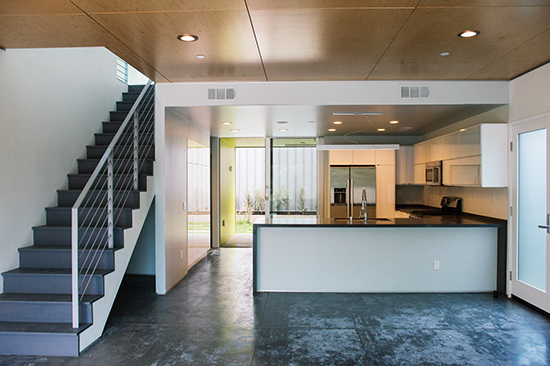 The back home's living area is on the upper level, taking advantage of views toward the Baldwin Hills and the Helm's Bakery sign. 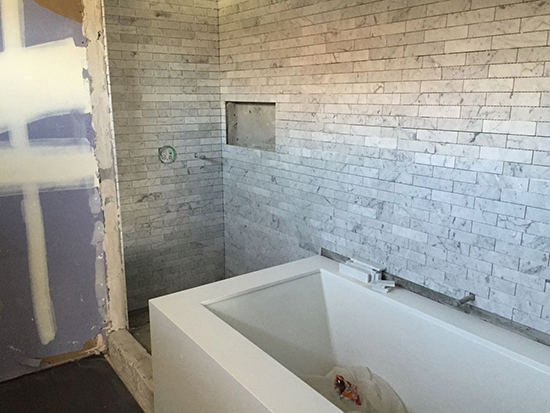 The bathroom finishes land just below custom-home level, but well above apartment-grade on the finish quality meter. 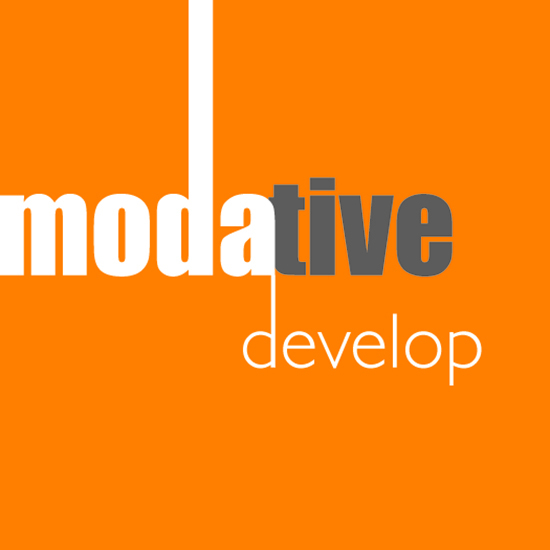 Modative was founded in 2006 with the goal of making modern design more affordable. 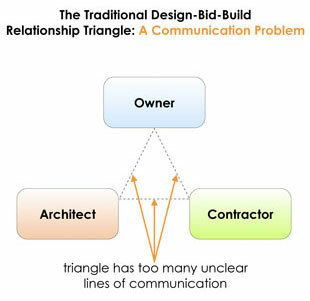 Since then, we have been an architecture-only firm -- until last year when we formed a separate construction company called Modative Build, Inc. to provide our clients with an alternative to the traditional and often unsuccessful owner-contractor-architect relationship triangle. By having our own construction company we can now offer our clients a streamlined approach to getting their projects built at a reduced cost with far less headaches. Learn more about our approach. Although you may be occasionally asked to do a coffee run, this is not one of those kinds of internships. This is a hands-on, learn-though-real-experiences type of internship. You will not be directly constructing anything, but rather working on what really makes all construction companies tick: coordination and problem solving. Your primary responsibility will be to coordinate the bidding of several projects that Modative (the architecture company) has designed. You will work hands-on with the project designer and learn about all the trades that are required to put a real project together. You'll bid those trades out to subcontractors, then compile the selected subs into a beautiful, comprehensive bid. 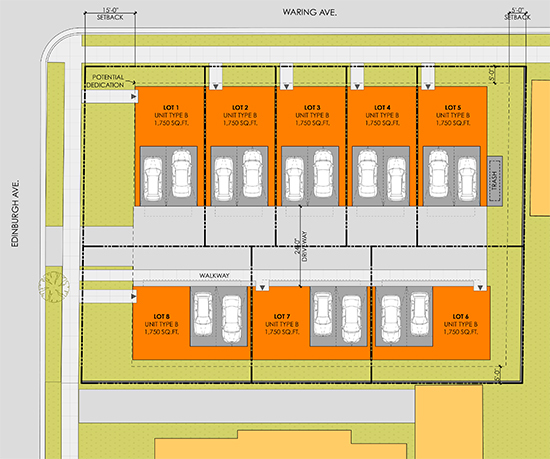 The projects you'll be bidding are primarily residential, type V construction. They are all modern. 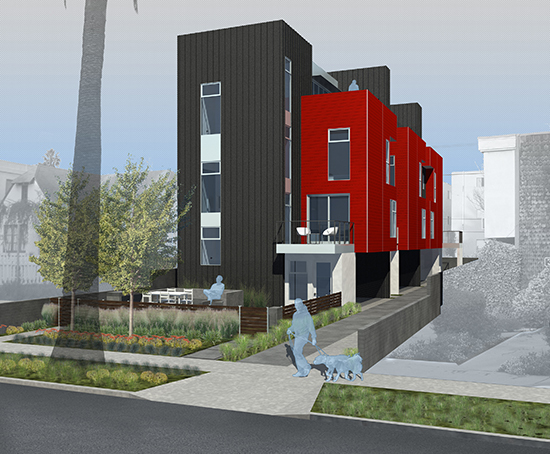 You will also help us with the Fay 2X Homes, which are currently under construction a few blocks from our office. 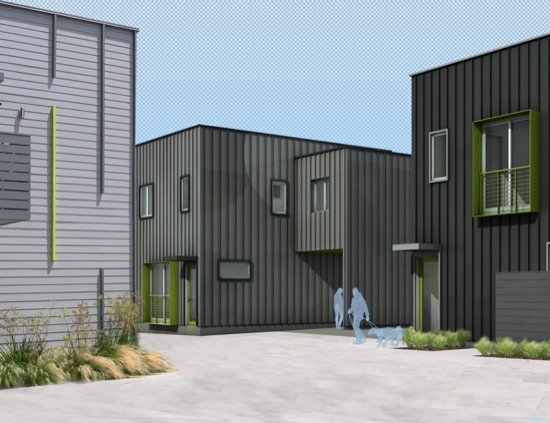 You'll get to see the construction process of these two homes happen first-hand, while also helping the project manager with behind-the-scenes coordination. 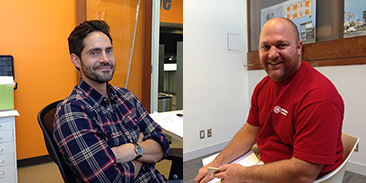 The construction company (Modative Build, Inc) and architecture firm (Modative, Inc.) operate in the same small office space without any cubicles. 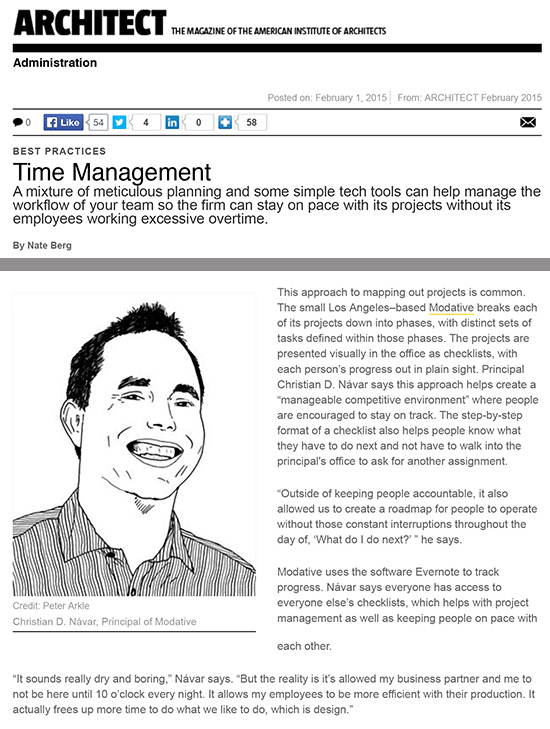 We're low on hierarchy and high on collaboration, so you might get pulled onto any number of projects. We're looking for someone with an architecture or construction education/background, who like us, sees the importance of overlapping these two professions to achieve a greater goal. 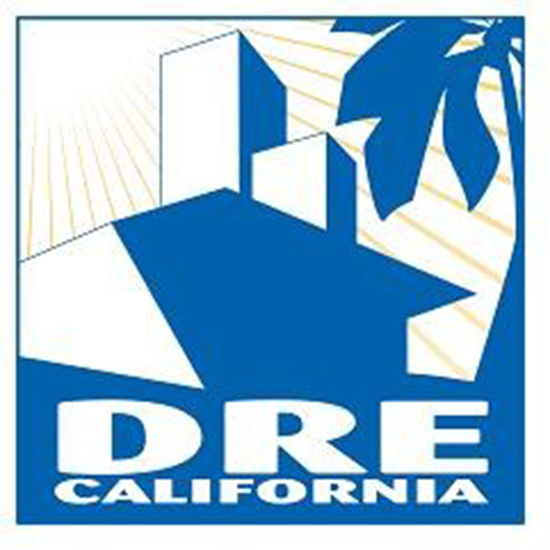 Someone that wants to turn the antiquated construction industry on it's head and that can use their design and organizational skills to bridge the architecture/construction gap. If we like you and the opportunity arises, this internship could lead to a full-time position at Modative Build or Modative. You'll be using ArchiCAD, Numbers (Apple's version of Excel) and QuickBooks. Knowledge of these will help your learning curve. 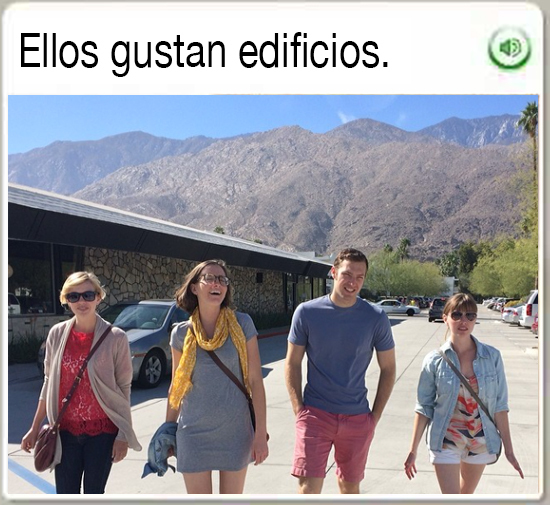 Spanish speaking will earn you extra points. We're also fans of creative resumes. 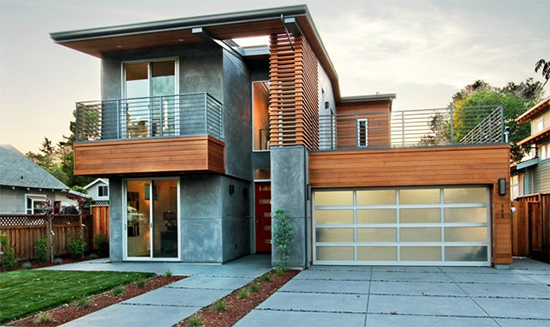 Send us a resume, portfolio and whatever else makes you look good to info@modativebuild.com . 1. Please describe your current level of experience/education in the architecture and/or construction industry. If you're still in school and this is your first job, that's fine too. 2. Do you have experience with any CAD or BIM software? 3. Do you have experience with Excel and/or Numbers? We will be accepting applications until 6 pm PST on 06.09.11. From the applications we receive, we will narrow it down to 5-10 candidates for 15-minute speed interviews on 06.13.11. Follow-up interviews will be conducted later in the week if necessary. The internship will begin on Monday, 06.20.11 and last until late August or late September 2011. 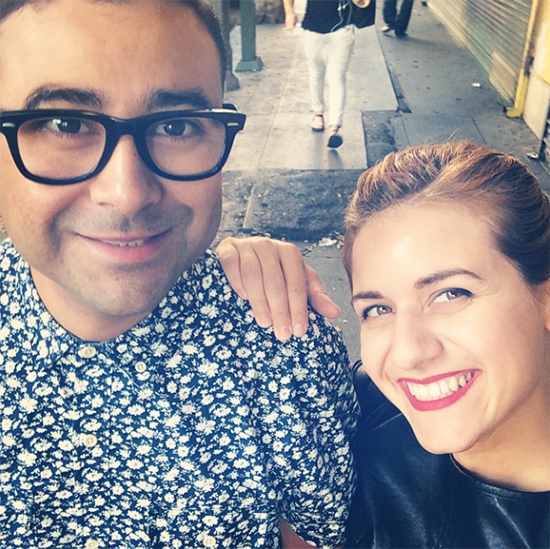 About Our Location: We're two blocks east of Helms Bakery, adjacent to the Culver City Arts District and within walking distance of several coffee shops and restaurants. It's a great central location in the LA basin. Instead of publishing my personal resolutions for 2010, I thought I'd fill you in on what Modative has in store for 2010. Here at Modative, we're never mistaken for traditionalists. I'm not just talking about our architectural style, but the way we do everything. This is why we are committed to further moving away from the traditional design-bid-build process into integrated project delivery. We feel that this new way of delivering projects to our clients not only distinguishes us from the competition, but makes the process easier on our clients, contractors and even us. And since we're not looking to procrastinate on our 2010 resolutions, we've already added a section on Integrated Project Delivery to our website so you can see what it's all about. In more and more of our projects, clients have been asking us to go beyond our core architecture services to provide them with many of the other things that go into getting a project built. Why? Because coordinating with one person (Modative) is much easier than coordinating with ten different consultants. 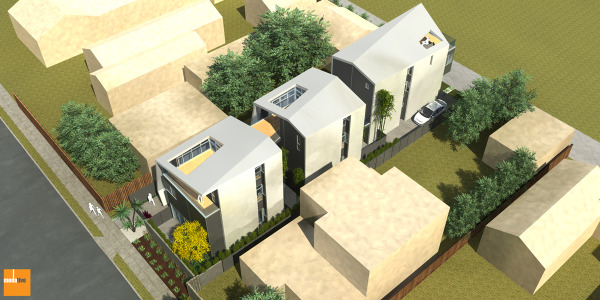 We also prefer this one-stop-shop service because it further enables us to deliver the finished project as envisioned. 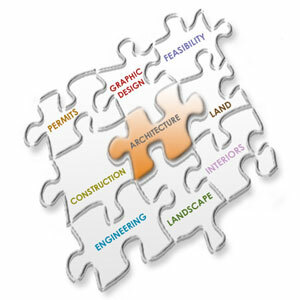 A glimpse of what we can provide can be found on our services beyond architecture page. 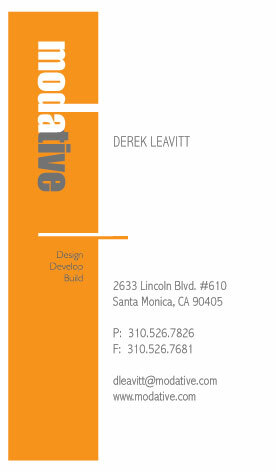 When we founded Modative, one of our primary company goals was so important to us that we put it on our business cards. Instead of "Architecture", we used the tag line "Design, Develop, Build." 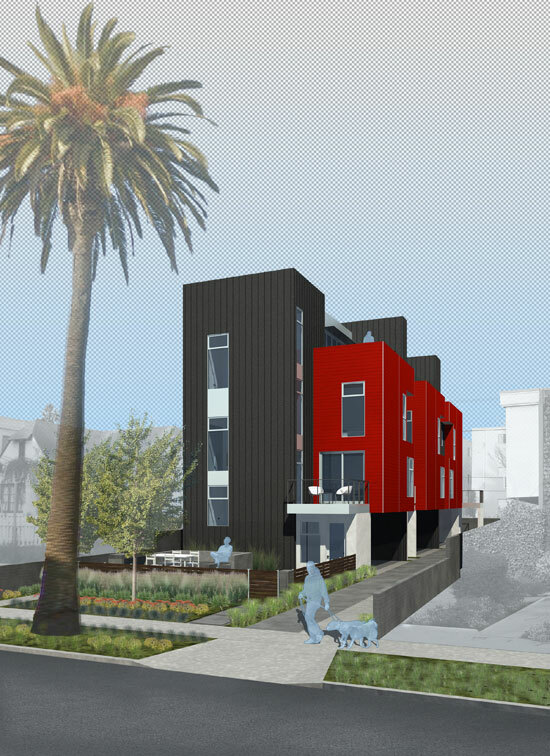 And while we have assisted with development decisions on the Venice Boulevard Urban Dwellings and Fay Avenue Art District Dwellings, we haven't yet acted as the contractor on one of our projects. That will soon change as I'm proud to announce that Modative Build will be launching this year. When I tell people I'm an architect, they often ask, "So, do you do houses or (commercial) buildings". "Both" I answer. 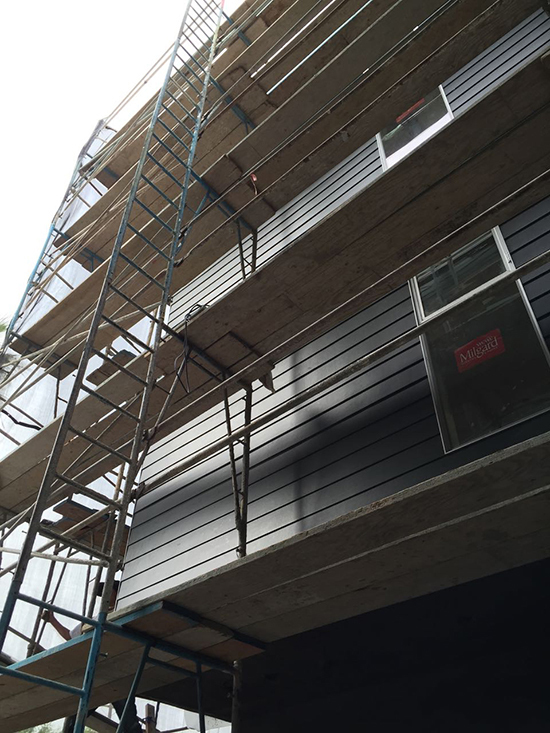 Our firm has always kept our project types diverse: a fairly even split between residential and commercial. 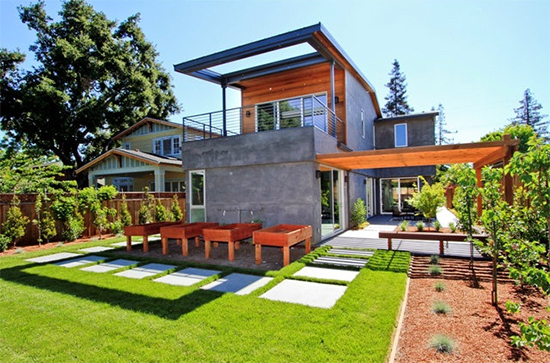 And within the residential category, there has been a healthy mix of single-family and multi-family projects. However, if there's one project type that we've done more than any other, it's clearly Small Lot Subdivision, which is really a hybrid between homes and condos. 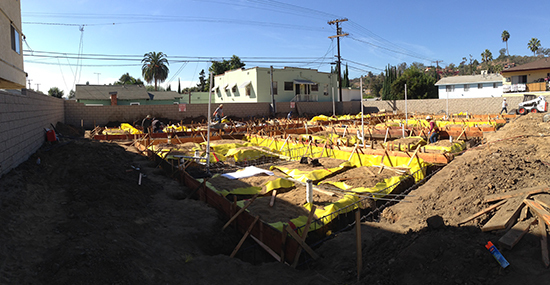 We've continued to pursue and take on these Small Lot Projects because we believe in them as the future of residential development in Los Angeles (and a lot of other places). 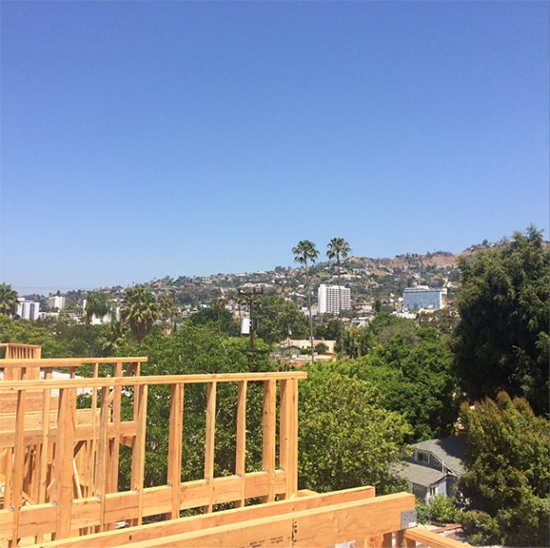 To show our further commitment to this unique project type, we've expanded our Small Lot Subdivision online presence with a new Small Lot Subdivision Blog and a free guide on the basics of developing Small Lot Subdivision Projects in Los Angeles.